A jackal! It's a jackal! A jackal! Wow, this is a little late... oh well! 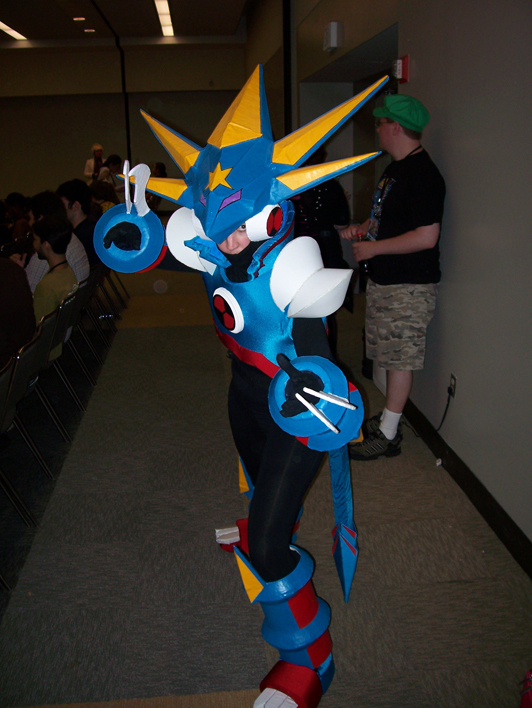 Ladies and Gentlemen, it's time for Ending B to let you know how Otakon 2009 went. Was it fun? Did it have cool swag? Did any one we went with get mugged? Read on to find out! Eric, Steve, and I arrived in Baltimore around 4pm on Thursday and checked into the Raddisan hotel. We stayed in a pretty small hotel room with our friends Kim and Joe, as well as some new friends, Rosie and Alex. How small was the room? All seven of us fit... but barely. Oddly enough, it was kinda fun. We waited in line for about... an hour and a half to get our pre-reg passes. The next day, it was con time! This year, since our friend Kim didn't have a table, I actually walked around the con a lot more than I usually do. I actually went to some panels and some workshops! Best Panel Award: The Secret Life of Mega Man. Another panel I enjoyed was the one on Lunar where the people who created LunarNET talked about the series and where it was going. In addition, I also liked the amateur voice actor panel. I actually got to get on stage and act the part of a 12-year old boy. Huzzah! 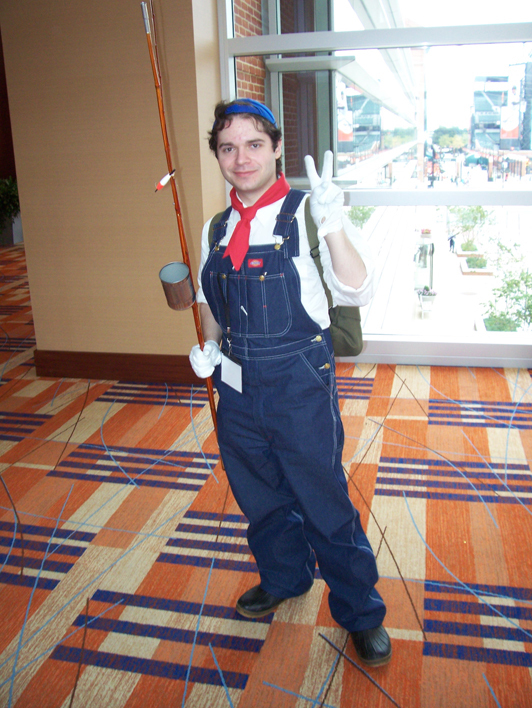 First Sighting Award: The first Harvest Moon cosplayer I've ever seen. We here at Ending B love Harvest Moon games (at least, Eric and I do), so I was thrilled to see my first cosplayer from this series. He's the main character from one of the games... I'm thinking either the SNES version or Magical Melody for the Gamecube. Uncommon Common Award: Yuna's Wedding Dress. 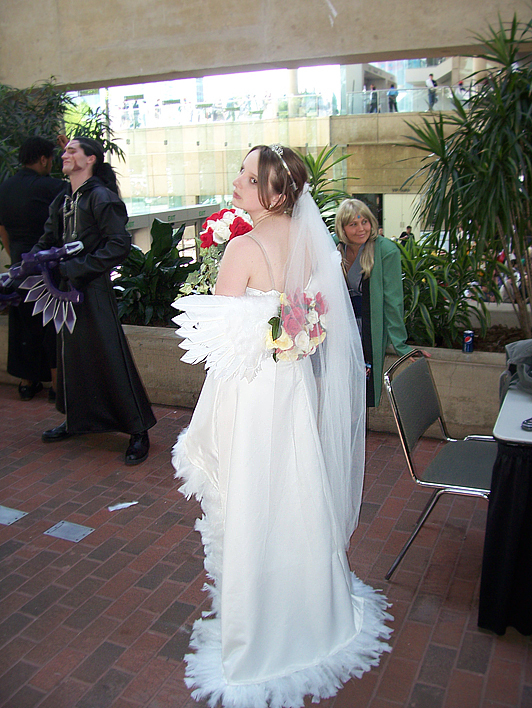 There are a lot of people who go to cons dressed as Yuna (from Final Fantasy X and X-2), this is the first time I've ever seen someone go as her in her wedding gear. Favorite Duo Award: Celes and Maria. 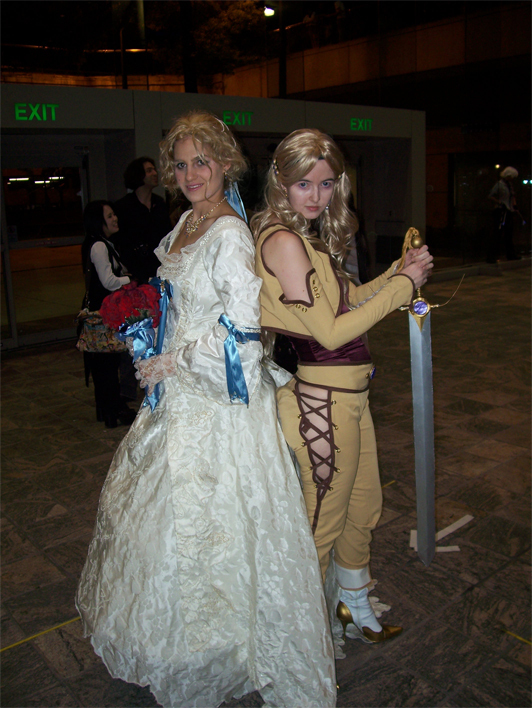 There were a fair amount of Celes (FF6) and Maria cosplayers running around. However, this is the only instance I saw of two of them together. 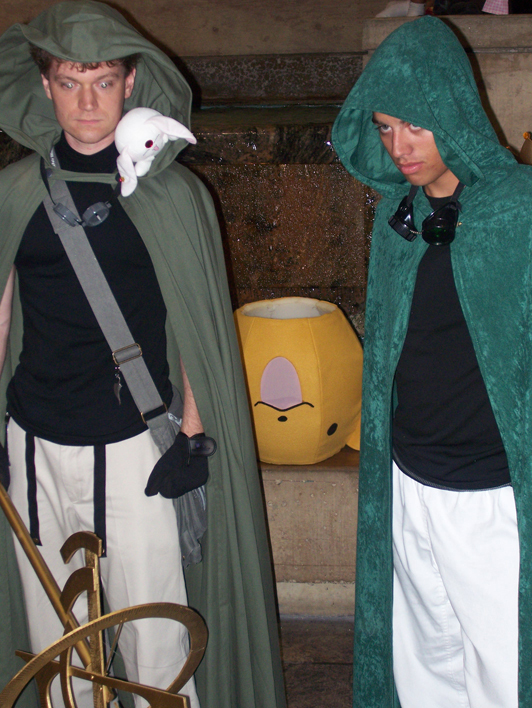 Eric made a fantastic Time Staff from Tsubasa Chronicles, and while that actually was my favorite prop someone made, I can't pick it because he contributes to Ending B. 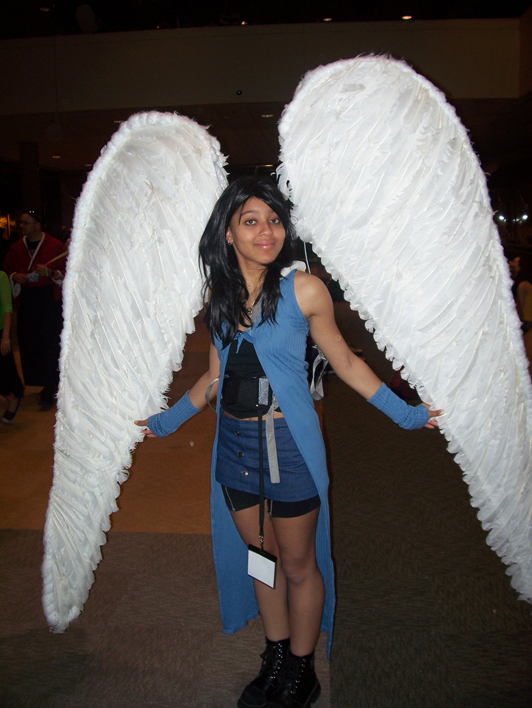 Instead, I'm picking this Rinoa's angel wings (FF8). According to her, these wings were homemade. Our new friend, Rosie, went as Zoey from Left 4 Dead on Friday and the Medic from Team Fortress 2 on Saturday. 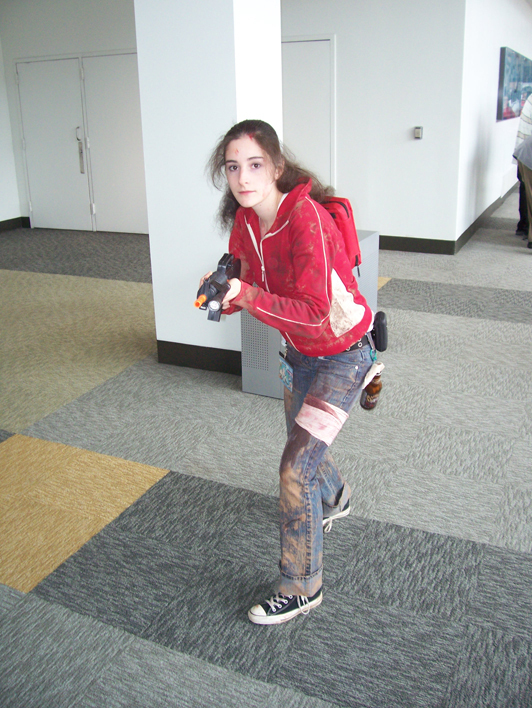 Rosie was by far the best Zoey out of all the others that were there (possibly the best L4D one I saw). All the other Zoey cosplayers were too clean. Rosie looks like she's actually seen battle. Great job! While in the Dealer's Room (where I got me a sweet Phoenix Wright and Tales of Vesperia art book), I caught a glimpse of this fellow. Me: Excuse me, but are you the main character from Shining Force? Him: Yes! Yes I am! Finally, someone recognized who I was. Me: Oh my god! I need your picture! NOW! 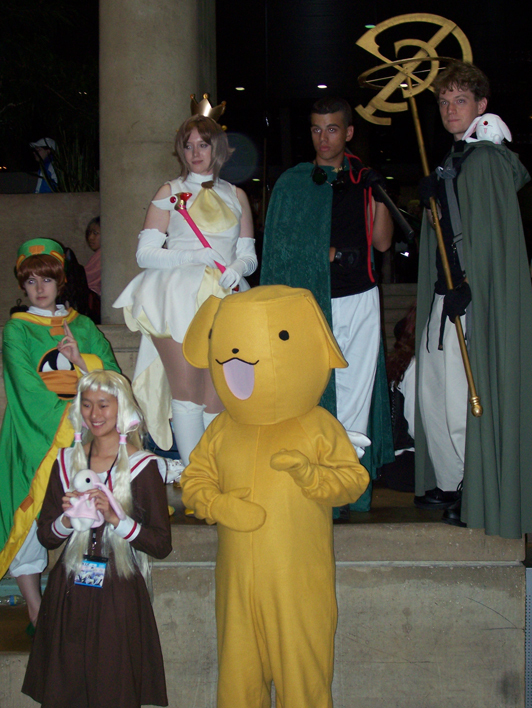 Best Photo Shoot I Attended: CLAMP characters. This person was in the CLAMP photo shoot for the first half, and then hopped down to do some solo shots. She had many different poses prepared and changed them slightly so each picture was different. This guy was totally awesome. He didn't say a word and had the same mannerism as Silent Bob. 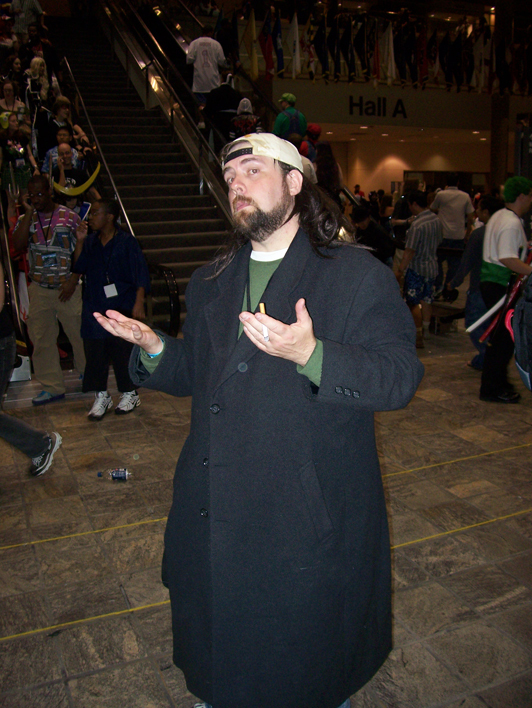 If someone told me this was actually Kevin Smith walking around, I actually wouldn't be surprised. 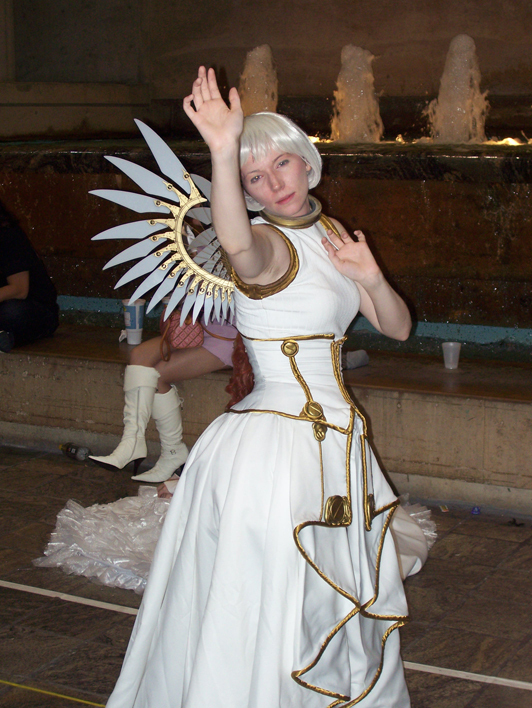 Well, those were some of the highlights of Otakon 2009. Overall, I had a blast. To answer my earlier questions, it was fun, the swag was good, and nobody got mugged! Here's hoping 2010 is just as great! Hey! 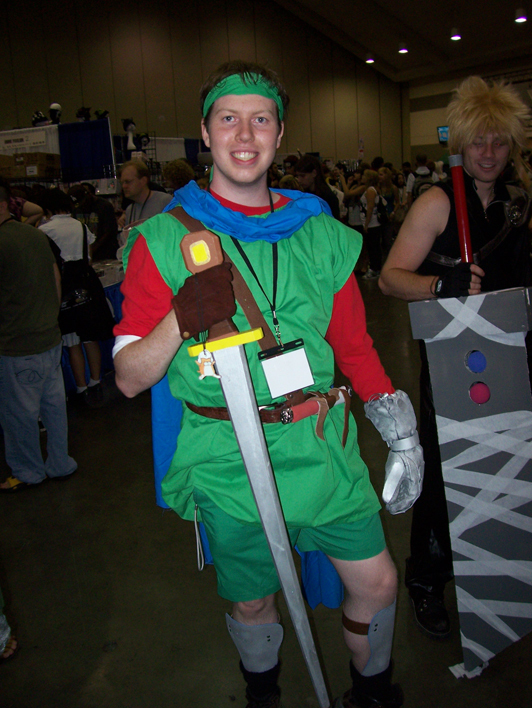 That's me as Max from Shining Force! I HAVE FOUND MYSELF ON THE INTERNET!